Costa Rican President Luis Guillermo Solís on Friday visited the isolated and impoverished border area in northern Costa Rica, the site of a troubled road project plagued by scandals and initiated by the previous administration of Laura Chinchilla (2010-2014). 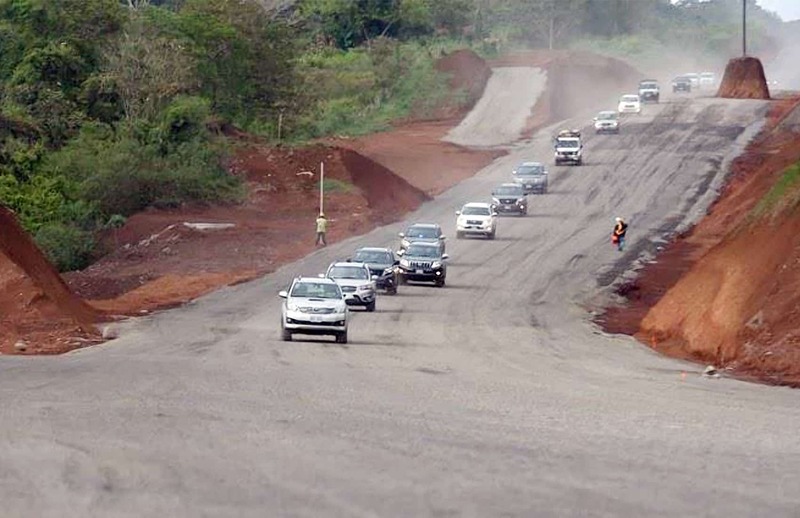 Solís said he was surprised by the lack of progress on Route 1856, a 160-kilometer road parallel to the San Juan River, a natural border between Costa Rica and Nicaragua. “They left me a mess,” Solís said in an interview with the daily La Nación, referring to the Chinchilla administration. Solís was accompanied on the one-day trip by William Loría, transportation and infrastructure coordinator at the National Structural Materials and Models Laboratory (LANAMME), officials from the Public Works and Transport Ministry and the Public Security Ministry. “It is imperative to finish the original design of the route, including its expansion to two lanes,” the president said, acknowledging previous comments by LANAMME experts on the need for a better design and higher quality standards. Chinchilla had declared building the road to be a national emergency, saying the project would bring services and security to some 2,500 families in the remote border region. She issued an emergency decree allowing the $44 million project to be put into high gear and obviated the legal requirements for environmental impact studies that other public works must have before beginning construction. But there was little oversight, and the project was fraught with corruption. Work still pending includes the completion of drains and sewers, improvements in sedimentation management and better oversight and regulation of properties along the construction site. According to officials in the new Solís administration, which took office on May 8, many local residents have begun building homes on properties along the road, some close to Nicaraguan territory. Solís also called for better security along the trocha, as the road is known in Spanish, which has many access points to unsupervised border crossings – a problem that already has led to smuggling of contraband and possibly illicit drugs, according to recent reporting by La Nación. The president recommended installing security cameras along the route, and he promised that by early 2015, his administration would build new police outposts in the community of Sarapiquí. Environment Ministry official Rogelio Jiménez noted that illegal logging had taken place during the hasty initial construction, and the ministry has recovered some of that illegally logged wood and will use it to build desks and other furniture for public schools. Chinchilla called for the building of Route 1856 in response to alleged incursions into Costa Rican territory by several groups of Nicaraguans, including soldiers, beginning in 2010. Both Costa Rica and Nicaragua have filed claims at the International Court of Justice at The Hague, Netherlands, over the border incidents.